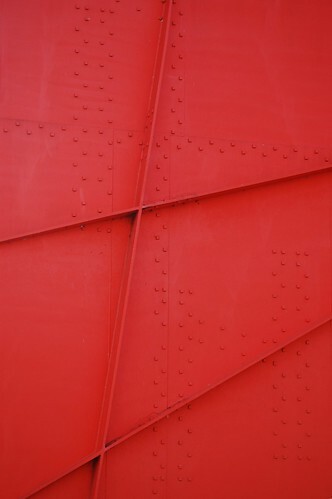 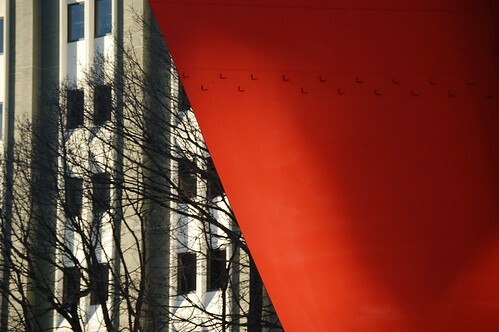 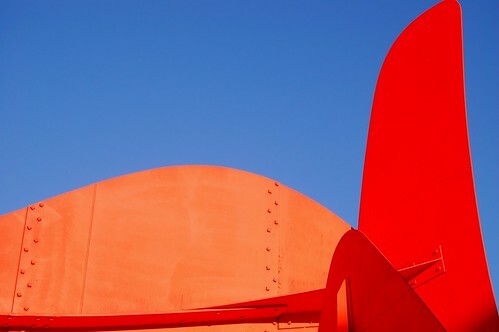 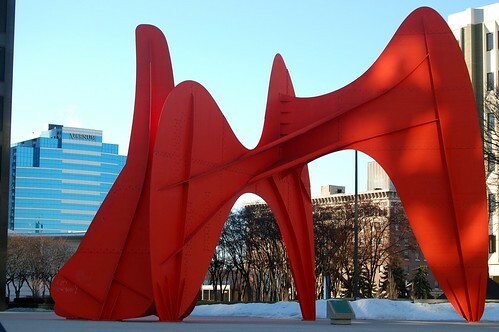 La Grande Vitesse, or "The Calder" as it is affectionately referred to by most Grand Rapidians, was completed and installed in 1969. 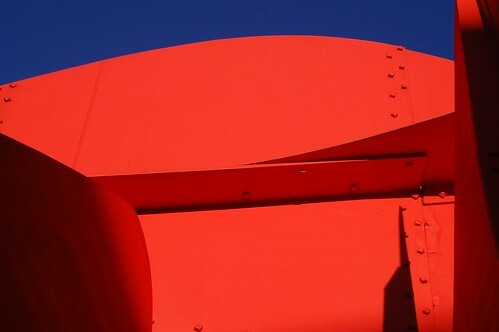 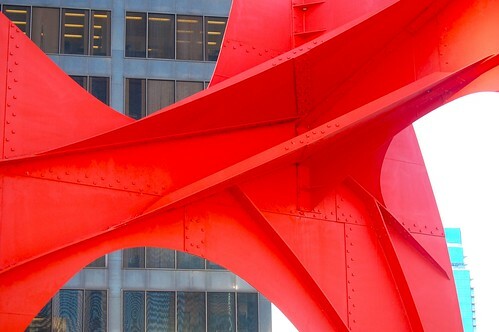 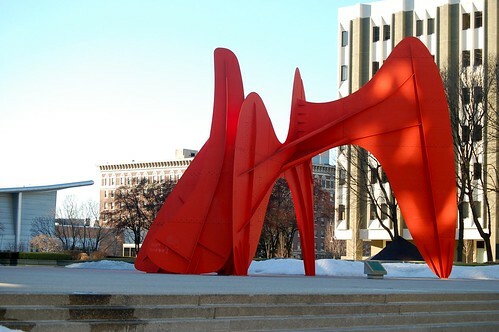 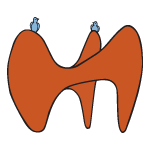 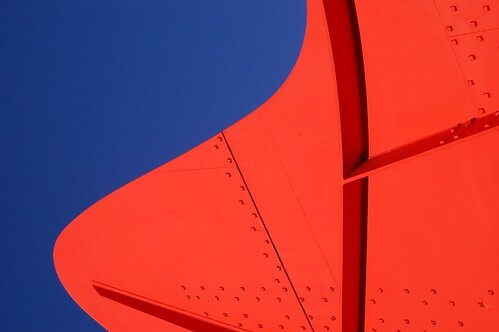 This stabile (a stationary yet abstract sclupture) by world-reknown sculptor Alexender Calder was the first piece of federally funded public art installed anywhere in the United States and quickly became a symbol of the city. 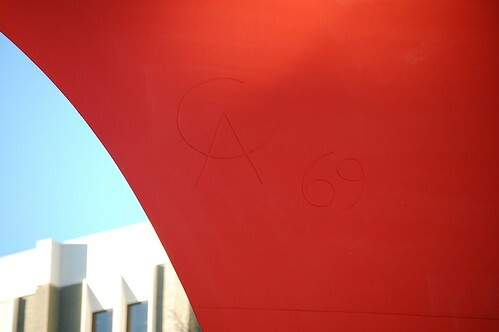 Festival of the Arts, first held at this site in 1970 just one year after the dedication of “The Calder,” opened with only two stages and a few food booths. 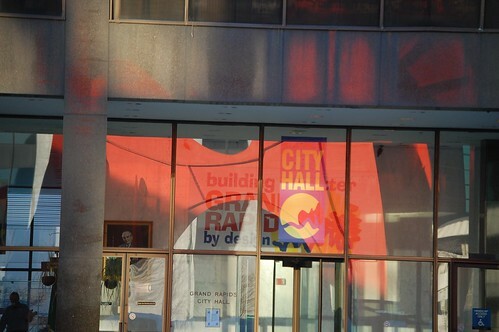 Now the Festival, held the first week-end in June, fills almost the entire downtown area. 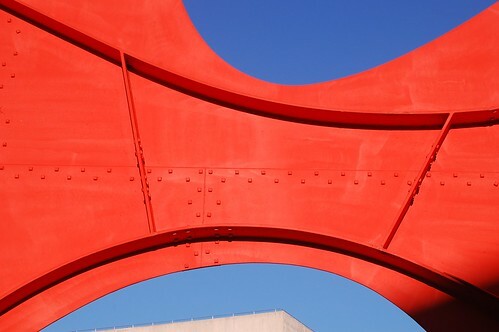 La Grande Vitesse inspired many additional works of public art to be installed in the city, including Ecliptic by Maya Lin at Rosa Parks Circle, also included on the tag-tour. 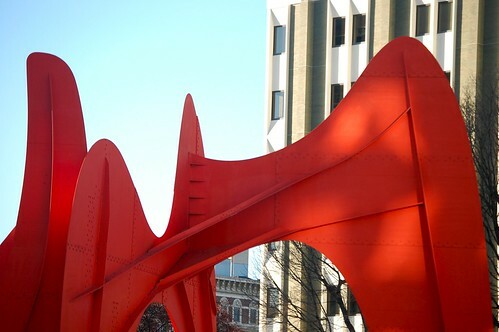 While at the plaza, visit "La Gran Vitsse" created by Alexander Calder and was the first nationally funded public artwork.